That’s the kind of teacher I wanted to be. One where my students wanted to come visit me at home and felt welcomed. As a little girl, I spent hours pretending to be a teacher. I had a black chalkboard on the wall in my bedroom, colorful sticks of chalk, rulers, crayons, reams of poster paper, and an old set of McGuffy’s readers. No students, so I would place all of the materials in front of my dolls and stuffed animals and away I would go. I had many teachers who lived close by, so my friends and I would ride our bicycles over to their houses. One of us would get up enough courage to ring the doorbell! We would be invited inside and offered a cookie as we visited. That’s the kind of teacher I wanted to be — one where my students wanted to come visit me at home and felt welcomed. 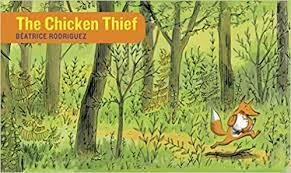 One of my favorites is The Chicken Thief by Béatrice Rodriguez. It is a wordless picture book about an unexpected friendship between a fox and a hen. It has a great message about the pitfalls of judgements, assumptions and stereotypes. It is one of the first books the children are introduced to, and every year I learn something new from their interpretations of the drawings which are whimsical and full of emotion, movement and humor. Grab a copy and “judge” for yourself! If I could get an extra hour in a day how would I use it? I think I would start the habit of journaling. I make lots of to-do lists, but do not take time to reflect on things. Journaling has proven to be a healthy choice, in addition to eating all the right foods, so I think I would add journaling to my plate! What is my favorite CDS tradition? Although it is not a tradition, I love that everyone at CDS speaks to one another. 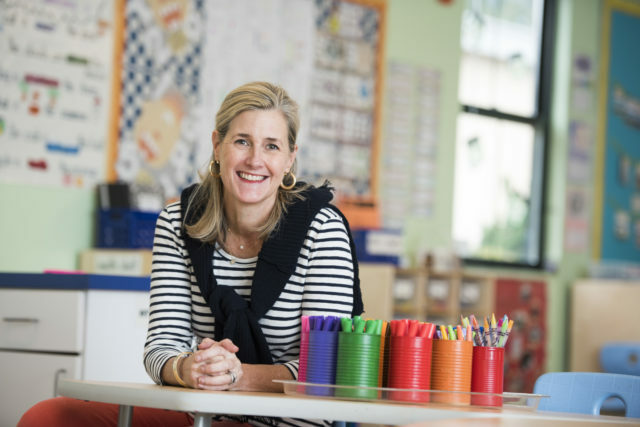 The culture in each classroom and in the hallways is friendliness and thoughtfulness. Each child feels like they are a valued member of not just their class, but the whole school community. 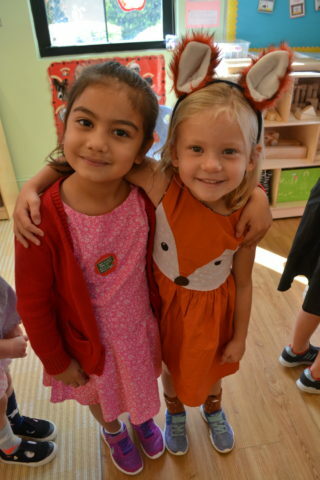 Children feel that school is a place where they fit in, are cared for, feel safe to make mistakes and take risks, and have fun throughout the school year. That is a tradition we celebrate every day, not just once a year!